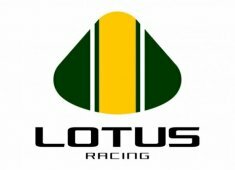 Lotus Racing has today confirmed the appointment of Mark Smith to the role of Technical Director, completing the senior technical structure and giving the team an excellent platform from which to achieve its goals of long-term success in the FIA Formula One™ World Championship. Reporting to Chief Technical Officer Mike Gascoyne, Mark will start at the end of his Force India notice period, and joins Lewis Butler (Chief Designer) and Marianne Hinson (Head of Aerodynamics), also from Force India, at the Anglo-Asian squad. These appointments, alongside Keith Saunt (Chief Operating Officer), Dieter Gass (Deputy Technical Director), Elliot Dason-Barber (Head of Vehicle Dynamics), Frank Ramowsky (Head of R&D), Rob Reeve (Head of Electronics) and Jody Egginton (Chief Engineer), complete the technical senior management structure. Mike Gascoyne: “I’m exceptionally pleased to welcome Marianne and Lewis to Lotus Racing, and I’m very excited to once again be teaming up with Mark Smith who I have previously worked with at Jordan, Renault and Force India. Lewis and I were together at Force India, and Lewis also worked with Mark Smith at Red Bull, and Marianne and I have known each other since 1999 when I gave her her first job in F1™ at Jordan, so we all know each other very well. “Mark Smith and I were first at Jordan together where our first car was the 199, Jordan’s most successful F1™ entrant, and then he came with me to Renault where we helped put them back on the top step of the podium, and put in place the team that went on to win two world championships. Most recently we were together at Force India, and I’m delighted he sees the potential we have here, and has seized the opportunity to work with me, Tony and the whole team on helping Lotus Racing reach the front of the grid. Renowned for his belief in the power of the people he works with, Team Principal and Group CEO of AirAsia Tony Fernandes echoed Mike’s comments “I am delighted to welcome Mark, Lewis and Marianne to the team, and they join a group of extremely talented people at Lotus Racing. “I am honoured that these fantastic talents have put their careers and their faith in Lotus Racing, and see the very bright future we all have together here. Formula One™ is a small world and the fact that they are coming to our team shows what we have already achieved in a very short period. Nothing will stop us from bringing in the best people we can, and we will give them the best working environment, and create the perfect atmosphere for them to fulfil their own potential, and help us in our quest to reach the top."